We believe every individual has the potential to learn and grow. By connecting the generations we can do this. 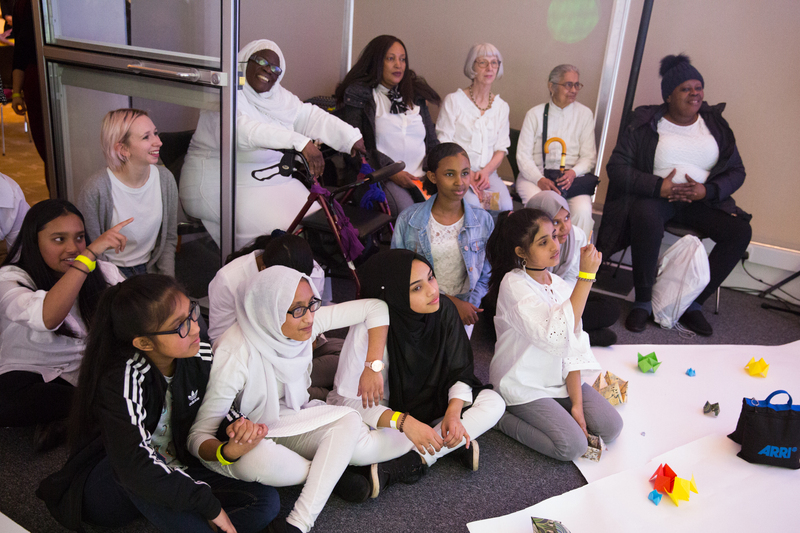 Research shows that participatory arts projects can reduce feelings of social isolation by 80%. By 2039 the number of people aged 85+ in the UK will double. The challenge for society is how to make the most of these extra years of life and create a society that works for everyone. Currently 22-44% of people living in care and extra homes experience loneliness; research shows that loneliness is as detrimental to your health as smoking 15 cigarettes a day. Younger people rarely, if ever, build relationships with older adults from another cultural community, or beyond their family. They lack social skills and confidence in new situations, and communication skills with adults, all essential ingredients for a successful adult and working life. Magic Me is based in Tower Hamlets and predominately serves the local community, however over the last decade we have grown to serve other communities in need. In Tower Hamlets only 4 in 10 people feel safe outside after dark, leading to self-imposed isolation. For elderly people this often leads to social isolation and an increased sense of loneliness, as they do not have the support or confidence to leave their homes and be involved with their community. Magic Me projects give our participants confidence and stimulation, and a focus to create something positive together. Teachers report that pupils increase their confidence and are able to talk to strangers. Older people tell us that Magic Me gives them something to get out of bed for in the morning. Participants are encouraged to step outside of themselves and to look at things from each other’s point of view. Working together stereotypes are challenged. We provide opportunities and places for strangers to meet and become good neighbours and friends. Working together in creative ways, participants learn from one another, making connections which strengthen our community and build resilience to cope with tough times. However, we cannot do it by ourselves.